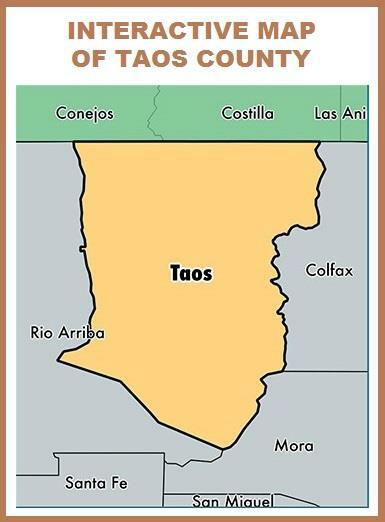 ABI Real Estate Investments has been servicing Taos and the surrounding areas for over two decades. Not only do we know the Taos market, but we live here and are involved in many aspects of the community. Douglas Bachtel, the Qualifying Broker, was born and raised in Taos and the Bachtel Family is in their fourth generation in the Taos Valley as ranchers and entrepreneurs. We are experienced as Buyers Brokers and will help you find all of those desired qualities you are looking for, whether it be an unimproved land purchase, home, property for your business, or investment opportunity - we are the experts that you are looking for! Like most communites, Taos has it's many quirks and peronalities, but the best way to make sure you are getting good advice and service is to work with someone that knows this area like the back of their hand. That someone is ABI Real Estate Investments. Taos is made up of so many micro-communities. Taos Ski Valley, Arroyo Hondo, Arroyo Seco, Des Montes, Taos Country Club, Wiemer, Ranchos de Taos, Taos Canyon and other popular areas are all places we have been involved in for years.